Groupe Renault recently revealed their latest autonomous control systems, designed to handle a number of challenging and differing scenarios. The system’s obstacle avoidance capabilities are of particular note as Groupe Renault modeled professional test drivers during development at the Renault Open Innovation Lab in Silicon Valley. 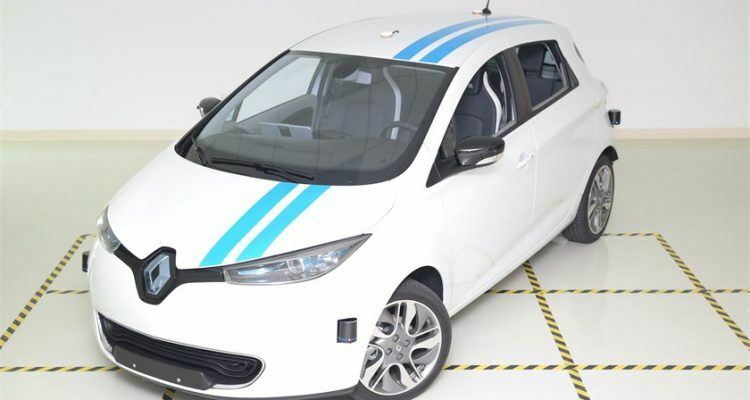 This latest initiative by Renault expands their ADAS and vehicle safety programs and is an important next step for the automaker in utilizing automated technology. The Renault Open Innovation Lab is critical for Renault as they look to establish themselves as a leader in safety and autonomy. The automaker is seeking to becoming one of the first brands to offer “Mind Off” technology for mainstream vehicles, while also having the capability to deploy fleets of robot cars. It’s expected that 15 Renault models will offer different levels of autonomous capability by 2022. The video below shows Callie, Renault’s autonomous car, demonstrating the obstacle avoidance feature. Not only was the system inspired by and modeled after professional drivers, but it was actually tested against them. Callie does a pretty good job maneuvering in and out of the cones. Using professional drivers to develop autonomous vehicles is interesting, especially since Renault has returned to Formula One and has a strong commitment to Formula E. Renault has said they view such ventures as “vectors of innovation.” It’s very well possible those “vectors of innovation” have influenced their latest automated driving initiatives. Photo, Video & Source: Groupe Renault. No Comments on "Groupe Renault Demonstrates Autonomous Technology"